On the magazine’s cover is a heart-shaped drop of lush forests fringed with yellow sand that meets a sea so turquoise you can imagine spotting turtles and technicolour fish from space – or relaxing with a cocktail before slipping into the warm sea. But Newsweek wants you to know that all is not as idyllic as it seems. 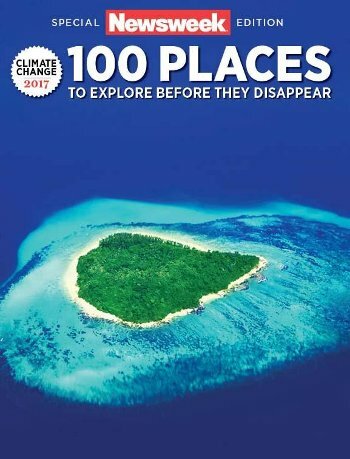 Its special issue, now in the shops, warns that climate change threatens this island paradise, along with 99 other equally magnificent places. It may seem admirable that a mass-market global magazine has dedicated a photo book to showing what climate change will mean for some of the world’s most beautiful places. As it says: ‘if climate change continues unchecked, many of the world’s wonders are in danger.’ But there’s a catch. At the same time as declaring its concern about climate change, Newsweek encourages its readers to cook the planet. The magazine doesn’t just document the threatened wonders so readers can learn about them from a distance – it also describes its special edition as a ‘travel guide’. The issue has been published before and Newsweek was previously more restrained in its promotion of air travel. 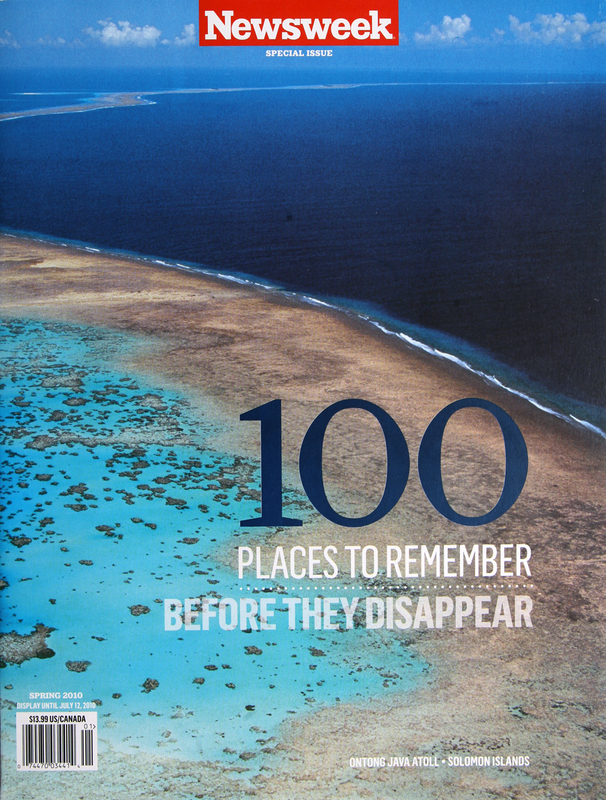 In 2010 readers were encouraged only to ‘remember’ the threatened places before they disappear. But by 2014 – and again now – it suggested readers should ‘explore’ them. In the fight to stop extreme climate change, flying is like a steadily growing tumour. For now, international flights only produce around 2 per cent of carbon emissions, but that’s set to change. While nearly every other sector is making plans to slash emissions, airlines are preparing to release more and more greenhouse gases. By 2050, flying could have used up a quarter of the world’s carbon budget – and its share will only increase as the world tries to cut emissions further. So it’s naivety at best, hypocrisy at worst, for Newsweek to draw on its readers’ love of long-haul holidays to sell a magazine that laments the impact of climate change. But it would be unfair to single out Newsweek – this is a problem with almost all mainstream conversations about the issue. Most mainstream politicians and media organizations no longer deny the reality of climate change. Yet on the question of what the world needs to do to deal with the threat there is almost complete silence. This is particularly the case when it comes to anything that might require sacrifices, like flying and eating meat. Who, outside the green movement, is prepared to admit that tackling climate change will be difficult? And so we find ourselves in the bizarre position where a magazine can show off its virtue by encouraging its readers to fly to a drowning island. This entry was posted on Friday, August 11th, 2017 at 17:32	and is filed under Climate Majority, Climate Sock. You can follow any responses to this entry through the RSS 2.0 feed. Both comments and pings are currently closed.